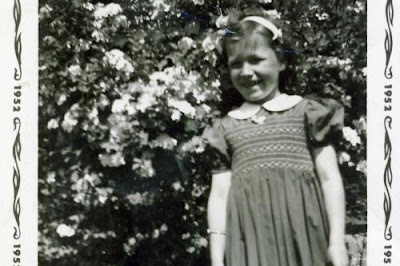 Sandy Burke in a photo taken in 1952, around the time her PEI grandmother rescued her from a US orphanage after her father abandoned her when his wife died in Boston. The fight to be recognized as Canadian is not a symbolic affair for Sandy Burke. Her health care and pension are dependent on Canada recognizing her as a citizen. Despite having lived in Canada for 59 years, raising a family and paying taxes, they say she is not eligable for Old Age Security (OAS) unless she can find 'papers' dating back to 1951 – papers she said she never had. This is part four of a story about an injustice that may outlive a number of its victims. Speaking from Mississauga, Ontario, Murray said she has been fighting for her mother-in-law for over a year. Diabetes and a bone ailment have made it difficult for Sandy Burke to manage the workload it takes to wrangle with the bureaucracy---with Citizenship and Immigration Canada (CIC), Old Age Security (OAS), and the Government of Canada, all at the same time. So Murray has taken up the struggle on her relation's behalf, though she admitted that they are both somewhat fearful to talk to the press. Like many in their position, they did not want to make things worse than they already are. Fear of rocking the boat is common among people in Sandy's situation, a group whose numbers are hard to define, but include hundreds if not hundreds of thousands. Sandy Burke, 65, represents the nightmare scenario of this entire fiasco – financially dependent Canadians who have worked all of their lives in Canada only to be denied the benefits of Old Age Security because the government says they are not citizens. Unlike some high profile Lost Canadians, Sandy has no claim to heroics. Her father was not a war hero. She has no plea to outdated laws, provincial legitimization, or war bride-fought-for-the-country rhetoric either. She is simply a Canadian who for the past 59 years has lived in Canada, obeyed the laws, voted, paid taxes, and raised a family. She is ordinary for lack of a better word in the eyes of Canadian immigration, and she has a problem – an American birth certificate. Square one for Sandy Burke is a Boston Orphanage in 1951. Her Canadian father abandoned her there after her American mother died of a brain hemorrhage in September, 1950. Burke was six years old. Her mother’s side refused to care for her. She spent half a year in the institution. It wasn’t until her Canadian grandmother saved up enough money to make the journey from P.E.I to Massachusetts in 1951 that Burke got out of there. She has never returned to the place. And yet, as of her 65th birthday, Burke has found herself in that place again, abandoned – only this time it is Canada that doesn’t want her. Without the $600 per month OAS that all Canadians are entitled to as citizens, Burke is eking by each month on a $475 dollar CPP check with few options and no grandmother to pluck her out. Long departed, her grandmother succumbed to Alzheimer’s when Burke was still young. She took Burke’s identification with her. “They could be in the wall somewhere for all I know,” Burke says of her 1951 landed immigration papers. After numerous requests and fees paid to immigration archives, the government claimed they can’t find their copies of the papers either, Burke added. Tempting though it may have been after all the dead ends, Burke didn’t ask CIC to check their walls. Voice America: David Gibbons "In Discussion"
I am Don Chapman, the leader of the Lost Canadians. I was born in Vancouver, British Columbia and when I was six years old I lost my citizenship. I've been fighting for it ever since.